Need to take a temperature in a hard-to-reach spot? Researchers have created the world's smallest thermometer from DNA, and it could be used to measure temperature even within living cells. A team of researchers from the University of Montreal has developed the tiny new molecular sensors based on the way that RNA — a long-chain molecule similar to DNA — folds and unfolds depending on the local temperature. 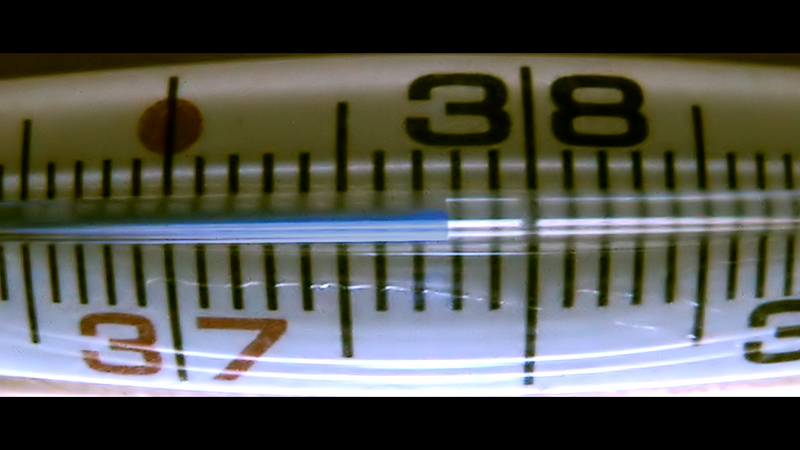 Because of the unique structure of DNA, the team has been able to carefully customise the design of a thermometer based on the same concept. DNA is built up of four bases: Adenine (A), thymine (T), guanine (G) and cytosine (C). They each appear along the long chain of the DNA molecule, usually encoding information — but the structure they create can also be useful, because each base bonds more or less strongly to the others. "Nucleotide A binds weakly to nucleotide T, whereas nucleotide C binds strongly to nucleotide G," explains David Gareau, one of the researchers, in a press release. By placing the bases in the right order, the team was able to slowly develop strands of DNA that fold and unfold in particular ways at specific temperatures. The result is a five-nanometre-wide structure that the team can use to determine temperatures. In Nano Letters, the team describes how it can tune the DNA devices to have "a precise ultrasensitive response over a desired, small temperature interval (±0.03 degrees Fahrenheit [0.0165C]) or an extended linear response over a wide temperature range (e.g., from 77 to 194 degrees Fahrenheit [25C to 90C])." The team reckons these tiny temperature probes could be used to understand with more accuracy what happens inside the human body. "We know that the temperature inside the human body is maintained at (99 degrees Fahrenheit [37.2C])," explains Professor Vallée-Bélisle, another of the researchers, in a press release. "But we have no idea whether there is a large temperature variation at the nanoscale inside each individual cell." Just maybe, a piece of DNA could help us find out.